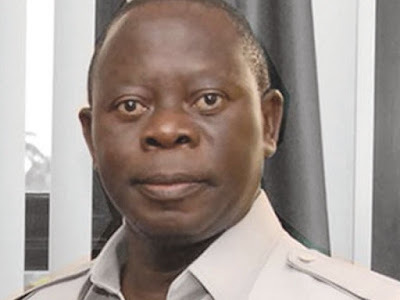 The Peoples Democratic Party, PDP, has said the national chairman of the All Progressives Congress, APC, Adams Oshiomhole, should be probed and made to face the full wrath of the law over allegations of him receiving bribes during the party’s recent primaries. Secretary, Edo State chapter of the PDP, Hon. Felix Imoisili, stated this on Wednesday in an interview with newsmen. Oshiomhole was reportedly grilled by the Department of State Services, DSS, operatives for nine hours after some APC governors alleged that he received bribes during the party’s primary elections across the country. Reacting, Imoisili said Oshiomhole no longer had the immunity he enjoyed as governor, hence, was not above the law. His words: “If somebody has committed an infraction of the law, he should be made to face the wrath of law, because the law is not a respecter of persons. “If in the course of the APC primaries he (Oshiomhole) did certain things that at variance with what the law says; that is, the extant laws, he should be made the full wrath of the law. Recall that the APC spokesman, Lanre Issa-Onilu, had said the party was not officially informed about the DSS detention of the national chairman of the party, hence, only Oshiomhole could either confirm or deny the report.